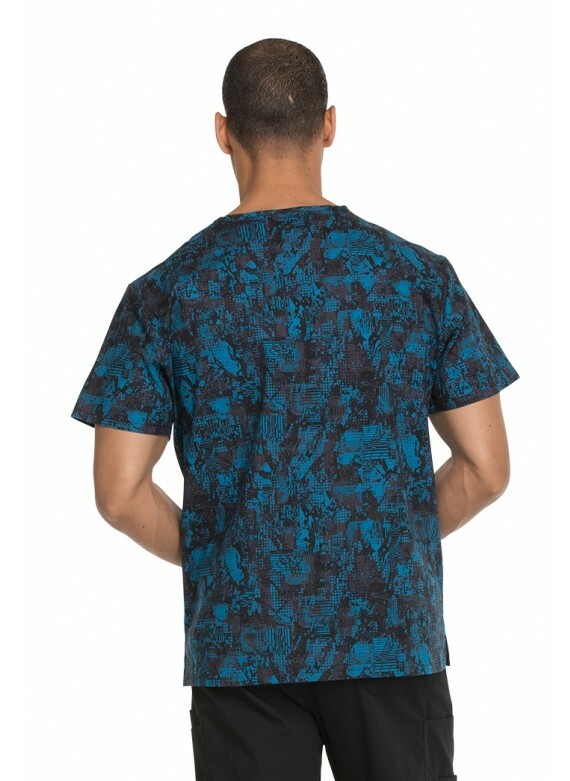 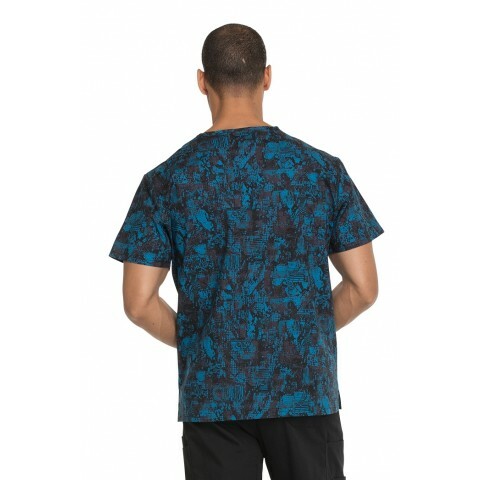 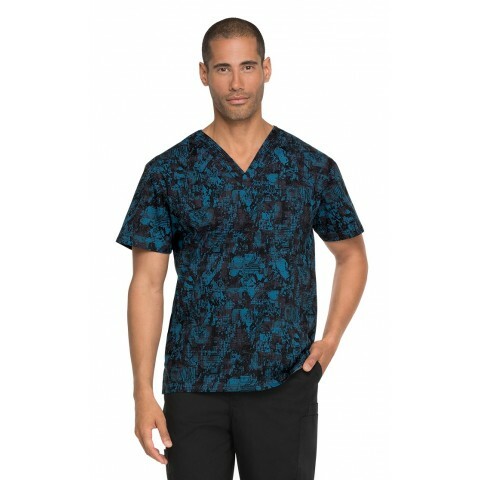 Tech-nically speaking, this Dickies DK725 Print Scrub Top for Men, was made with the finest attention to detail, from the sharp v-neck at the top down to the side vents at the bottom. 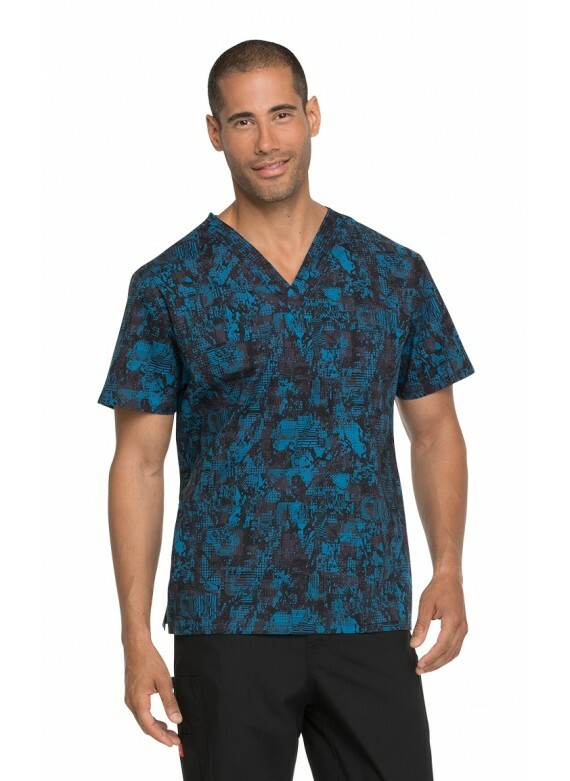 This is the ultimate scrub shirt for the consummate male medical professional. 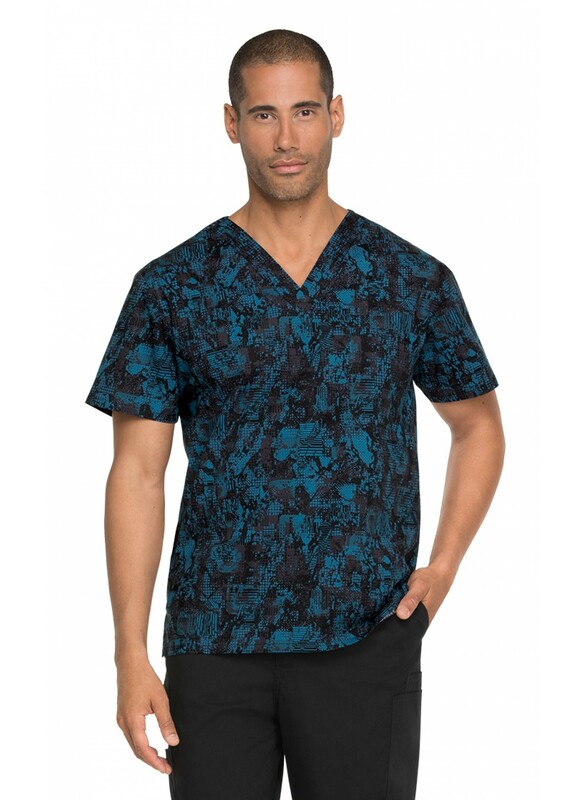 As a competent healthcare pro, you deserve a men's medical shirt that provides you with practical features that allow you to care for patients and complete tasks in the way that is optimally efficient. 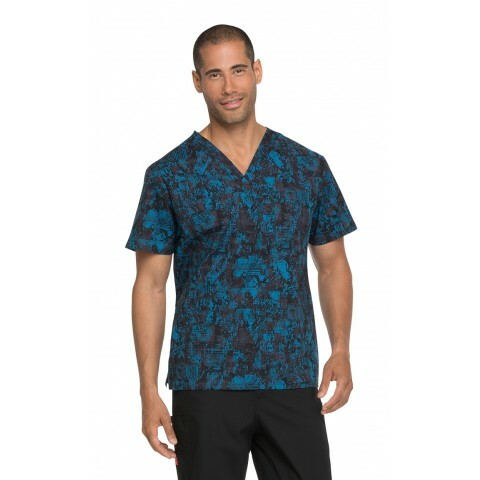 This scrub top does just that, and is crafted from a premium cotton stretch fabric, for unparalleled comfort.